Hi all! Just wanted to stop by and make a few quick announcements. I had planned for this post to be a little more than just updates, but I somehow caught a stomach bug and it has officially won. Thanks to the crazy dizziness, I can’t stare at a screen for too long. First thing’s first, just a little reminder that the First Edition Paperback of The Butterfly Crest comes out tomorrow online!! Keep an eye out for the link, which I’ll be posting tomorrow morning (or you can sneak a copy now on Amazon)! I attended my first book fair this past weekend – The New Orleans Book Fair! Had a lot of fun meeting new readers, and sharing the experience with V (my partner in crime in all things literature related) and A (she who forces me to be social and champions my cause). For those of you who purchased the book, I sincerely hope you enjoy Elena’s story and come to love some of the characters as much as I do. It’s a privilege to be able to share them with you. Thank you as well to all the super nice people who signed up for my author newsletter – an email should be going out soon with some fun updates! If you haven’t signed up for my author newsletter yet, there’s always room for new friends! 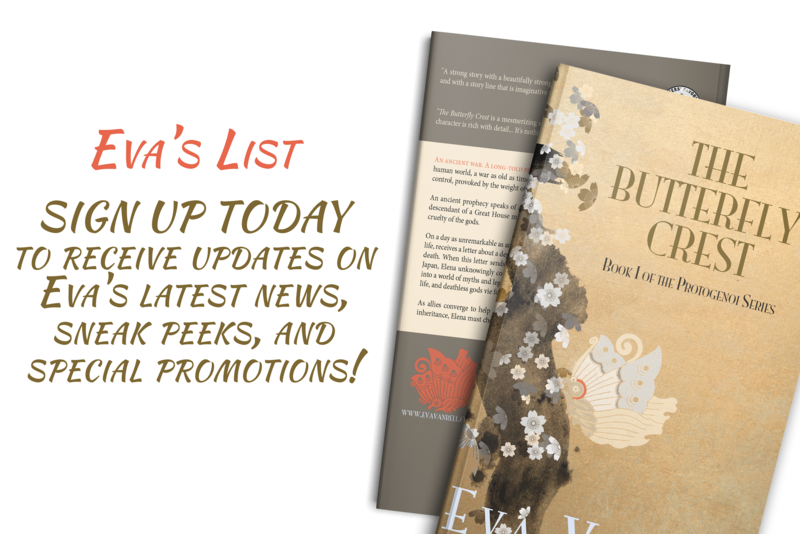 You can sign up on Eva’s List anytime, to receive exclusive updates on my latest news, sneak peeks and special promotions. 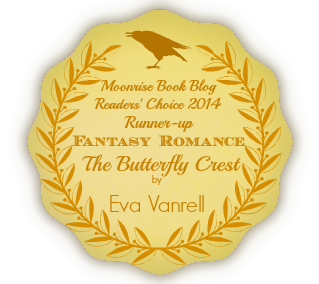 Those on the List will be first in line for cover and title reveals, and Book Two excerpts!